Those that choose to work in a role as a caregiver whether for a loved one or as part of their job, often sacrifice their own needs for the need of the patient. 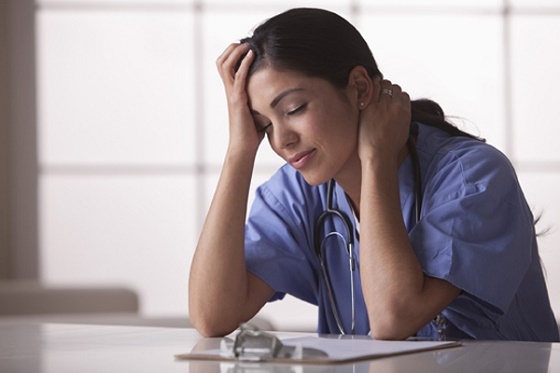 The stress of providing care to patients can often leave one stressed. If left unchecked, caregiver burnout can wreak havoc on your health, happiness, relationships and your job performance. In my 20+ years in this industry, I have both seen & experienced burnout. Workplace burnout isn’t uncommon in the health care industry. I can relate to this since I, personally, experienced burnout from a job I thought I loved! I had very low energy & no desire to hang out with my friends. I was neglecting my health- to the tune of 15 extra pounds and I had become disillusioned with my work. I could not place my finger on one specific thing that happened. I had to understand that it wasn’t that I stopped liking the kind of work I didn’t like the way I was processing stress. As employers, we often brush it off as if the employee could not do the job, however we simply must look at the behavior of our caregivers. In order to catch burnout and combat it early, it’s important to know what to look out for. At Tried and True Home Care Services we do an exercise with employees. We call it “Check-ins.” We begin by determining if the problem is internal or external, we determine what steps are needed to gain control of the situation, and finally work with the employee on a plan. We role play, practice, and offer material the employee may self-study. Employees are encouraged to understand that caregiver burnout is a real event. This is real and impacts the caregiver, the patient, and those surrounding the care. We work towards preventative measures. Our belief is that well rounded pleased employee are the best caregivers available. Editor’s Note: Article provided compliments of Tanisha Fuller-Felix, CEO, Administrator, & Owner of Tried and True Home Care Services.